This morning, I was scanning Twitter, and stumbled across this odd tweet from the IDF Spokesperson. I watched the video, which, in and of itself, seemed pretty tame. 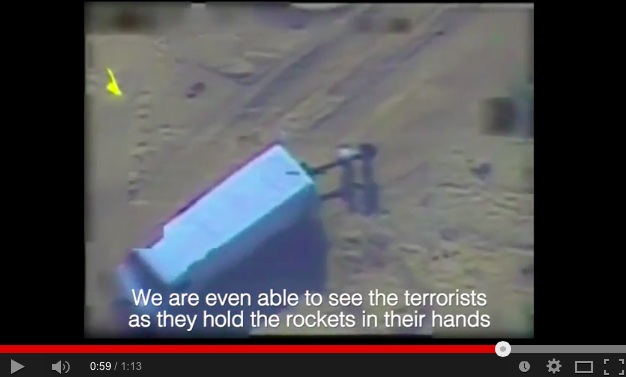 The part that struck me was not the video’s content, but the subtitles. In watching it the first time, sort of absentmindedly, I noticed some oddities in the translation, specifically around the word “terrorist.” I went back and watched it again, and was sort of stunned by what I noticed. Then again. 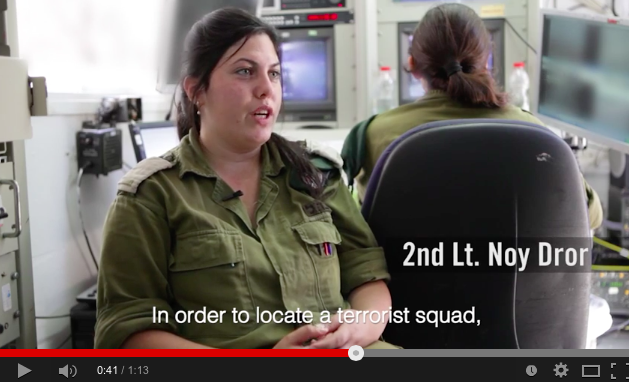 Second 0:41.The soldier says: ”בשביל לאתר חוליית משגרים” which means: “In order to locate a squad of rocket launchers.” The video’s translation? This is not an accident, nor is it just semantic nitpicking. Words shape reality, and the perception of reality. 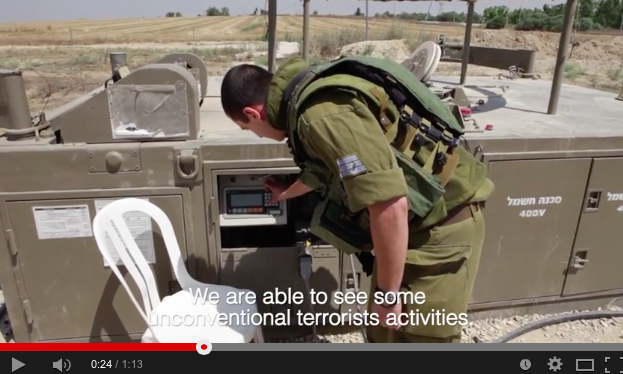 The reality that the IDF wants people to believe is a simplistic one of Israel versus Terrorists. But the soldiers in this video themselves didn’t use the word once. 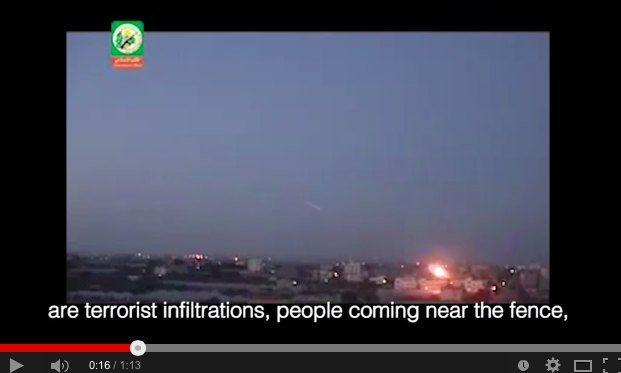 Regardless, the IDF Spokesperson added it four times into the translation. Who is going to notice, and even if they do notice, who cares? We should. This connects, for me, to two other semantic notes. In 2009, we had עופרת יצוקה. Translated accurately, it was called “Cast Lead” in English. This one came up in a recent conversation when I was asked by a friend from America how the Israeli mainstream reacts to differences between Palestinians’ violent and nonviolent resistance to the occupation. I thought for a moment, and then I realized something: They don’t. Why? Because they don’t recognize the existence of “resistance” at all. The Hebrew phrase for “resistance to occupation” would be התנגדות לכיבוש. That is a phrase that almost never appears in mainstream discourse. In fact, I did a google search to see some recent results, and what I found was a number of left-wing Facebook posts, a few leftist bloggers and journalists, and a piece from the mainstream Ynet… Quoting Hosni Mubarak. (And a Wikipedia article about Poland under German Occupation during WWII). To recognize something as resistance, there has to be a recognition of the thing that they are resisting against, ie., the occupation (Peter Beinart’s piece explaining, this past summer, to mainstream audiences that Gaza is still occupied was thus so crucial). Israeli mainstream media and political discourse are virtually incapable of grappling with the idea that Palestinians in Gaza or East Jerusalem or Bilin might see themselves as resisting the occupation when they shoot rockets, throw stones or march peacefully. At best, these events are framed as עימותים, “clashes” or part of the סכסוך, “conflict.” Usually, they’re just portrayed as hatred-fueled terrorist attacks, whether violent or nonviolent. A final note here: As someone deeply committed to nonviolence, and who abhors the use of violence in any context, be it Palestinian or Israeli, I think that the inability to (1) recognize that there is such a thing as Palestinian resistance to the occupation and (2) distinguish between nonviolent and violent resistance, and encourage the former while opposing the latter, is dangerous and damaging to all of our futures. I also think that we need to be consistent with our categorization of violence. Either it is legitimate, or it isn’t. One cannot say, in good faith, that Palestinians should use nonviolence and only nonviolence while simultaneously supporting the IDF in its Operations against Gaza or the Jerusalem Police’s treatment of young children in Issawiya and Silwan. Today is MLK Day. I will conclude this piece, then, by quoting, at length, some of James Baldwin’s reflections on Malcolm X. “In the United States, violence and heroism have been made synonymous except when it comes to blacks, and the only way to defeat Malcolm [X’s] point [that the “cry of ‘violence’ is raised only when black men indicate that they will fight for their rights] is to concede it and then ask oneself why this is so. Malcolm’s statement is not answered by references to the triumphs of the N.A.A.C.P… Neither is it answered by references to the student sit-in movement, if only because not all Negroes are students and not all of them live in the South. I, in any case, certainly refuse to be put in the position of denying the truth of Malcolm’s statements simply because I disagree with his conclusions, or in order to pacify the liberal conscience. Things are as bad as the Muslims say they are- in fact, they are worse, and the Muslims do not help matters- but there is no reason that black men should be expected to be more patient, more forbearing, more farseeing than whites; indeed, quite the contrary. The real reason that non-violence is considered to be a virtue in Negroes— I am not speaking now of its racial value, another matter altogether— is that white men do not want their lives, their self-image, or their property threatened. One wishes they would say so more often.” (The Fire Next Time, pp. 58-59). Malcolm X and MLK were not polar opposites: in fact, their critiques of America’s selective legitimation of violence were quite similar. Malcolm X said that if American discourse sees “the right to bear arms” as holy, then Black people should have that right as well. MLK said that if someone were to call on American Blacks to fight for their rights nonviolently, they must also oppose the Vietnam War and the US Government, which King called in 1967 “the greatest purveyor of violence in the world today.” Relevant. Resonant. Food for thought. [This post was crossposted on Jewschool]. No domingo, 11 de Janeiro, diversos “líderes” mundiais estavam junto com Hollande na manifestação em Paris. Mas o The Guardian identificou alguns como os que tinham maior record negativo junto aos “reporteres sem frontreiras” como perseguidores de jornalistas, como o israelita Benjamin Netanyahu e o egípcio Sameh Shoukry. Enfim a hipocrisia se levanta para fazer uso da chacina no Charlie Hebdo. You give great irrelevant significance to the pretty reliable translation. Where there are changes they aren’t insignificant. 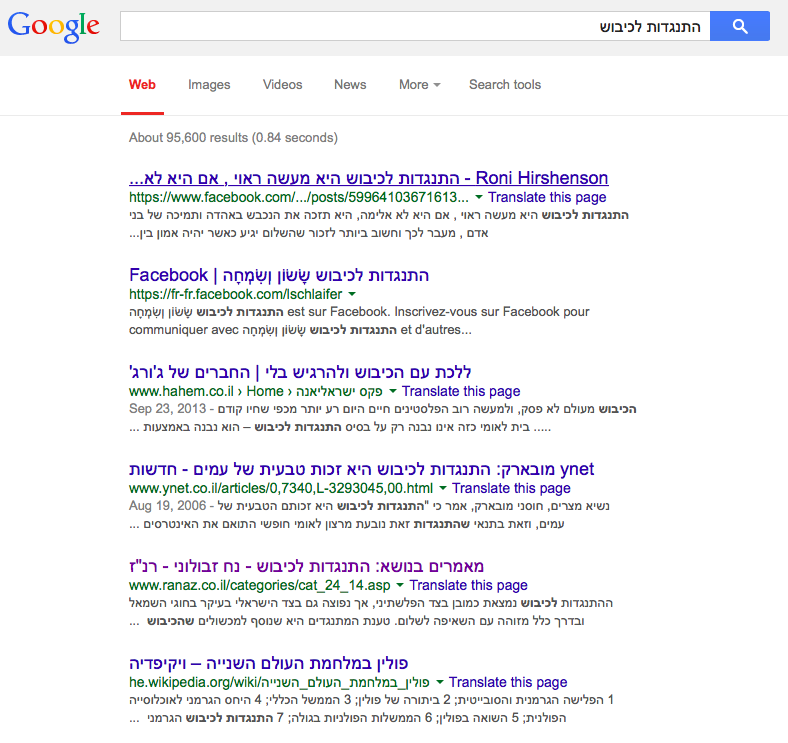 Different names in Hebrew and English is justify because its purpose likely to match the targeted audience. It is legitimate as I see that you are doing much more curves and turns with your propaganda against Israel and for Islamic terrorism. I see that all your goal is to project unreliability for IDF Spokesperson’s videos, although they are trusted much more than your articles and certainly slogans sponsoring of Islamic terrorism. In connection with the translation of the term “Palestinian resistance” it’s legitimate that Israelis will categorized terms under their way and view. The West called the fence between them and the Soviet dominance of East Europe as “Iron Curtain” but the communists called it “defender of Eastern Bloc”. Different point of perception. For the Palestinians resistance means to re-attack and annihilate the existence of the Jewish state. The important question is whether you are aware of this fact and take it into account when you support Islamic terror? I don’t support any kind of terror, Islamic or otherwise. Argue with me about things I actually say and believe, don’t make up allegations: it makes it hard to take your other points seriously, although I am happy to try. Are there specific questions you want to pose/points you want engagement on?